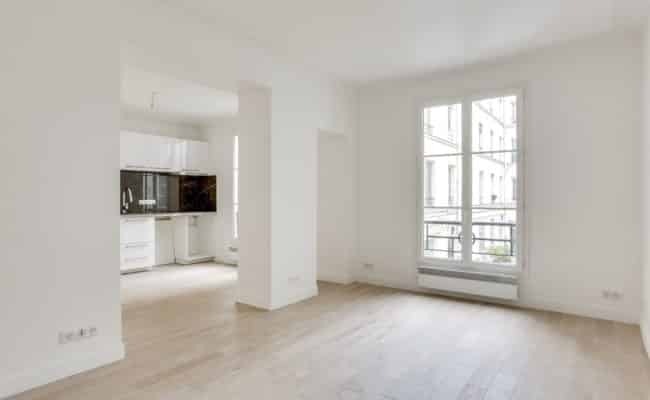 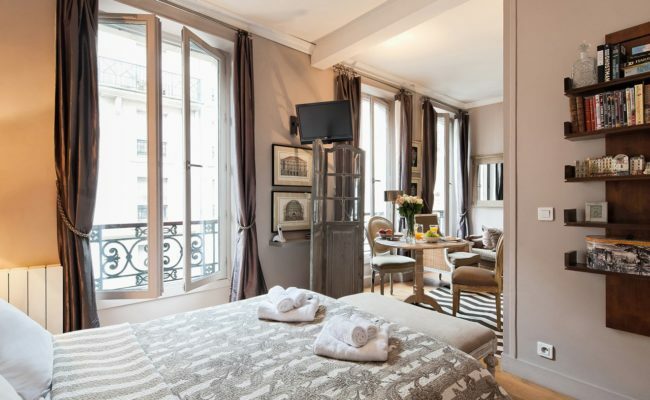 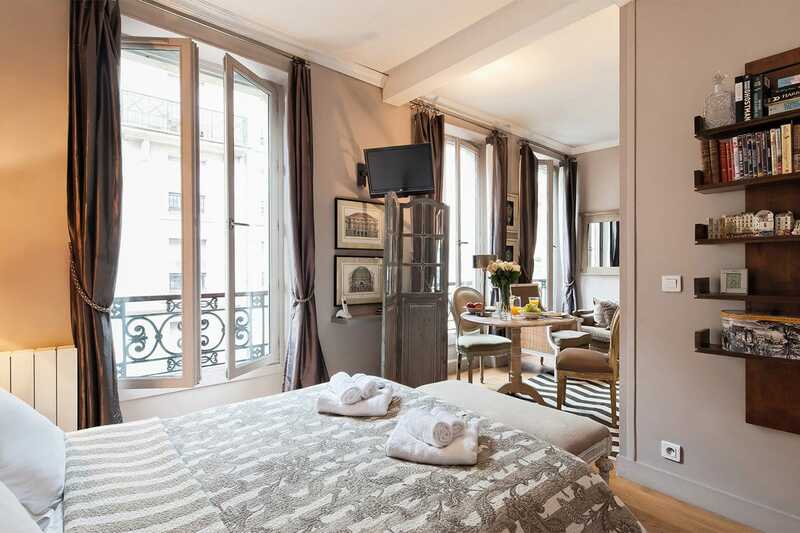 Studio: stylish, renovated 25 m2 studio apartment on rue Bonaparte in the heart of Paris' 6th arrondissement. 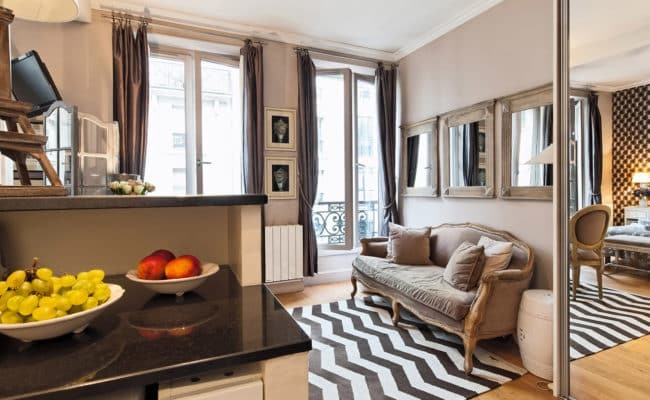 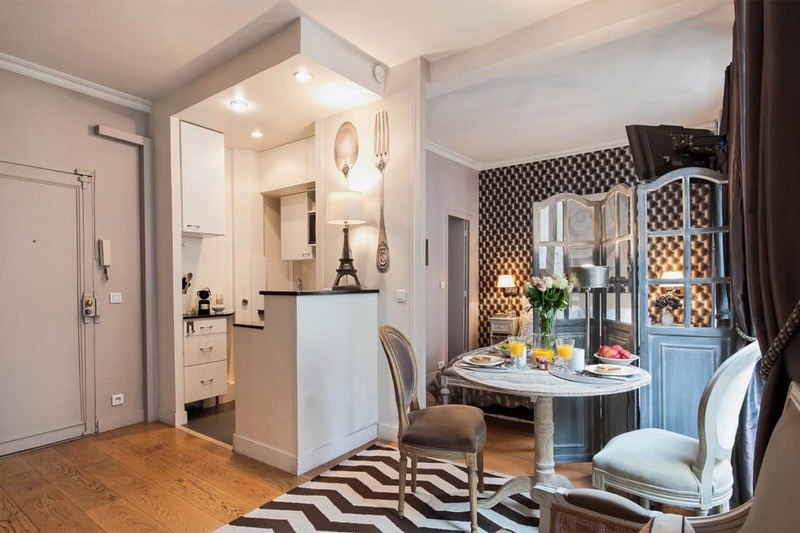 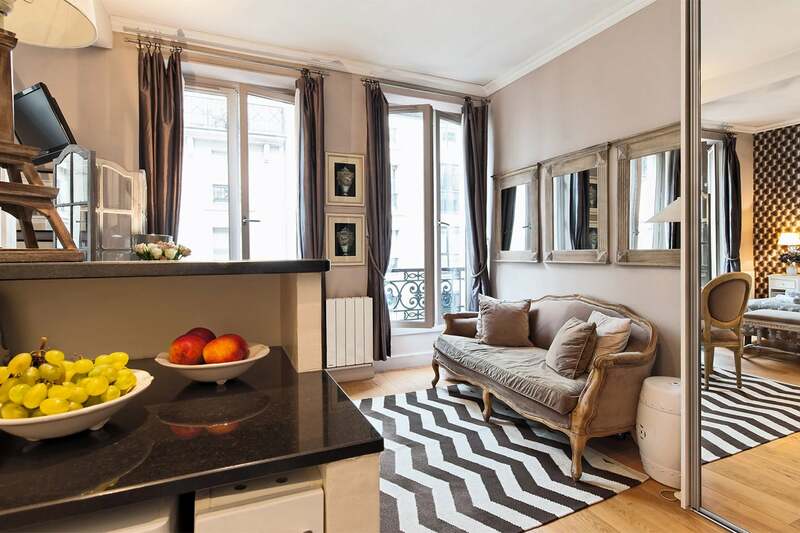 This stylish 25 m2 studio apartment is set on a charming street between trendy Saint-Germain-des-Prés and Place Saint Sulpice in the heart of the 6th arrondissement. 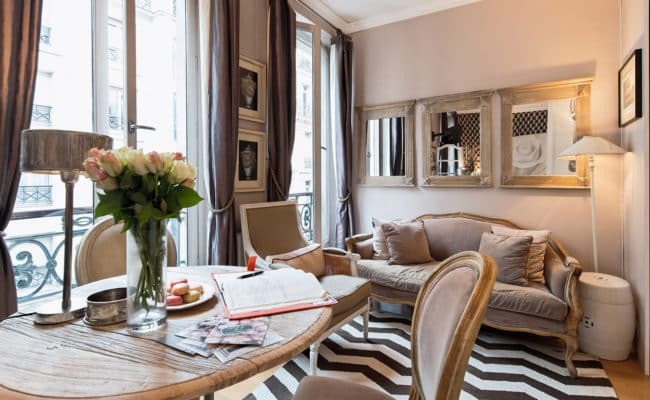 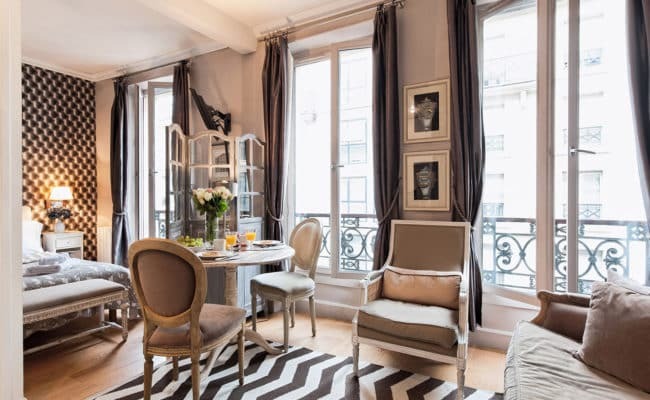 With three large sets of windows, this bright and beautifully designed studio is the perfect pied-à-terre for discovering the chic Saint-Germain neighborhood in Paris. 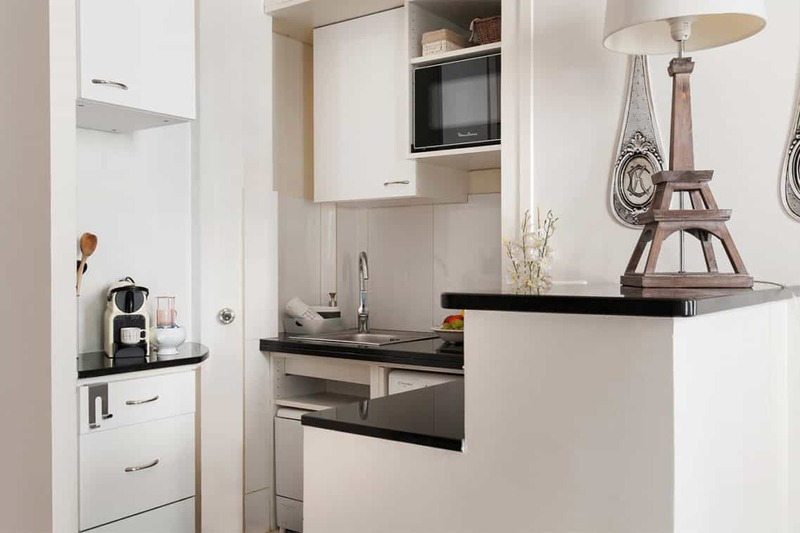 A fully remodeled kitchen overlooks the open plan living room with dining table sitting near one of the windows – perfect for dining at home. 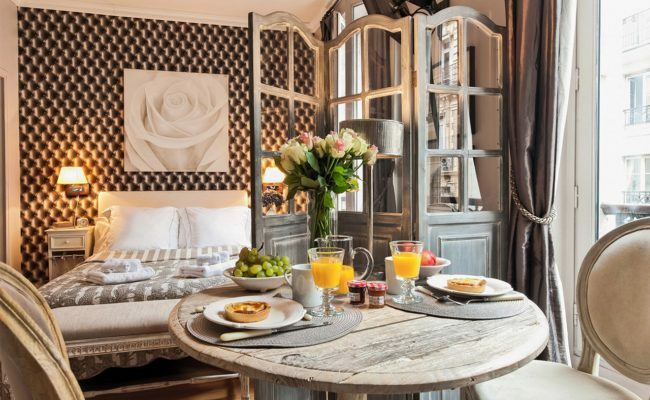 A decorative screen partially separates the sleeping area, which includes lots of storage and full bathroom. 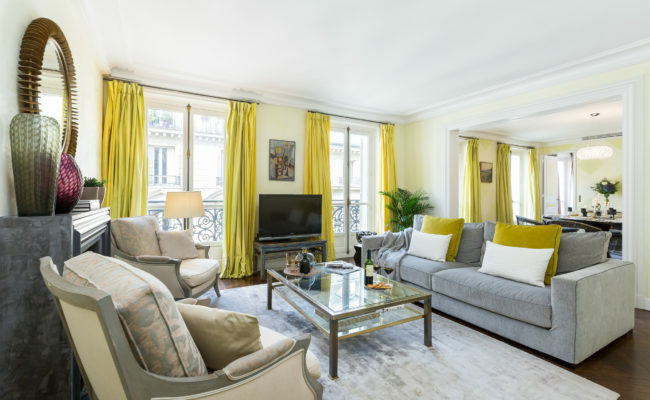 Well-designed and with Parisian decorative touches, the property, is a welcoming home away from home, surrounded by one of the most sought-after neighborhoods in Paris. 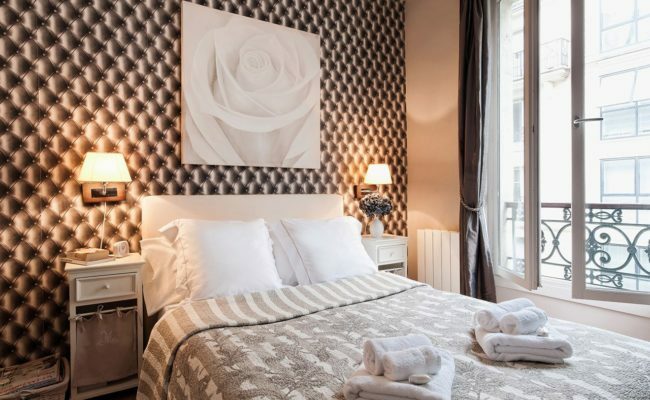 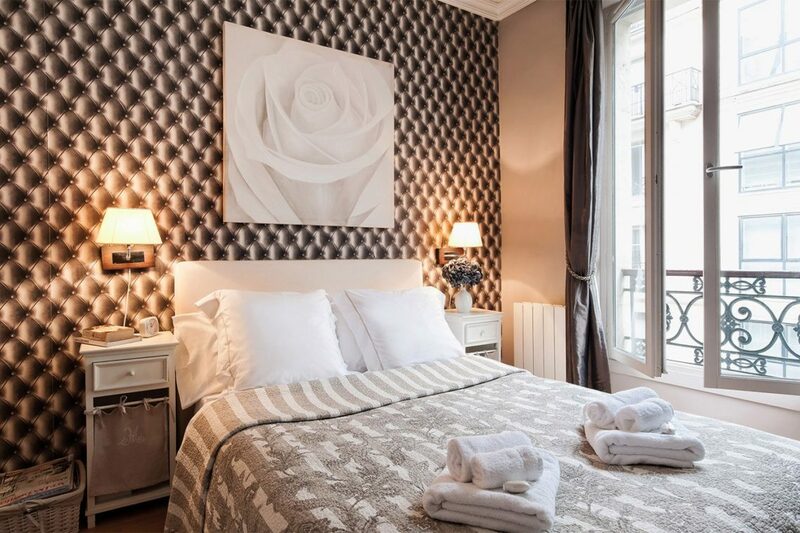 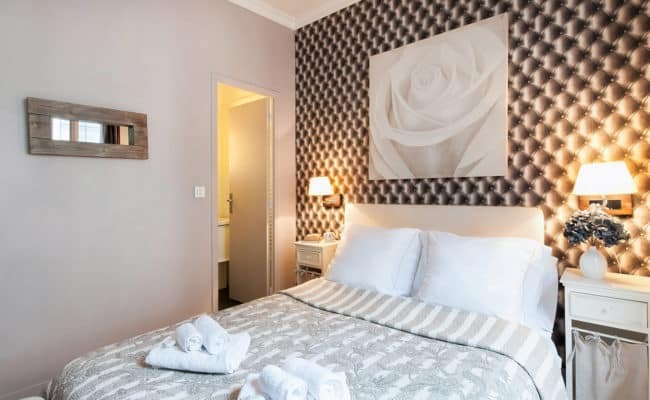 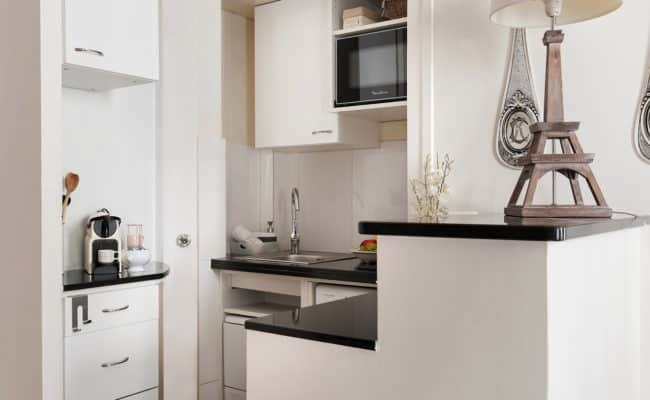 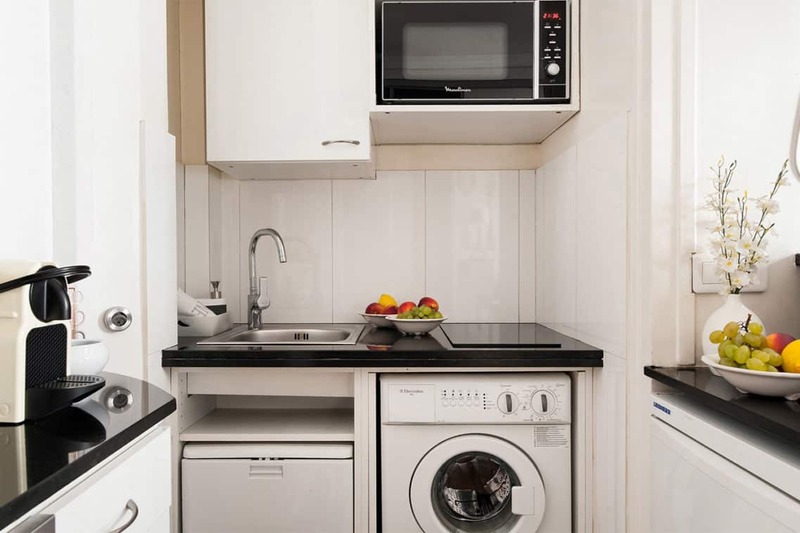 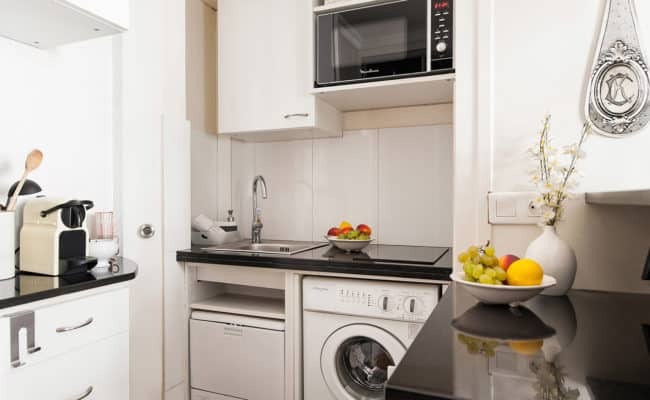 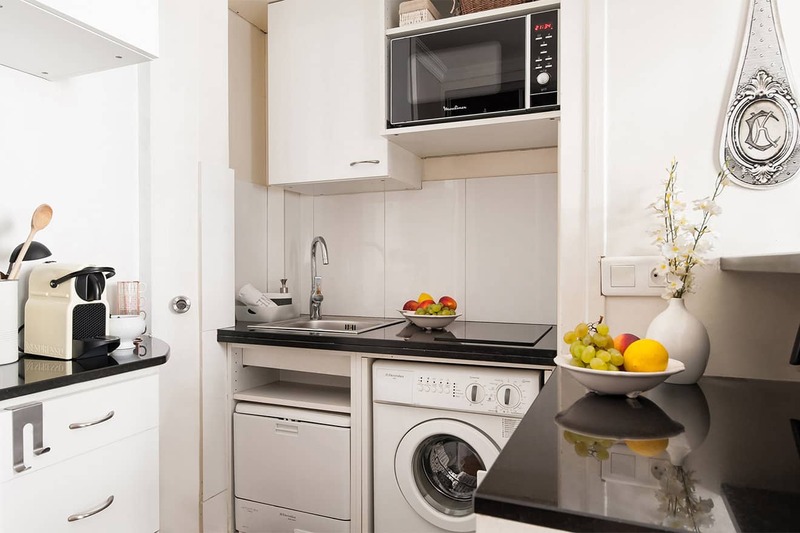 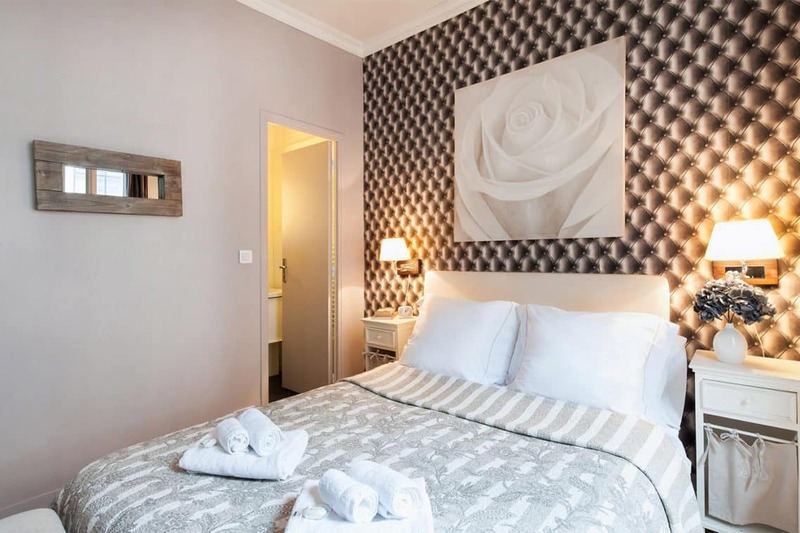 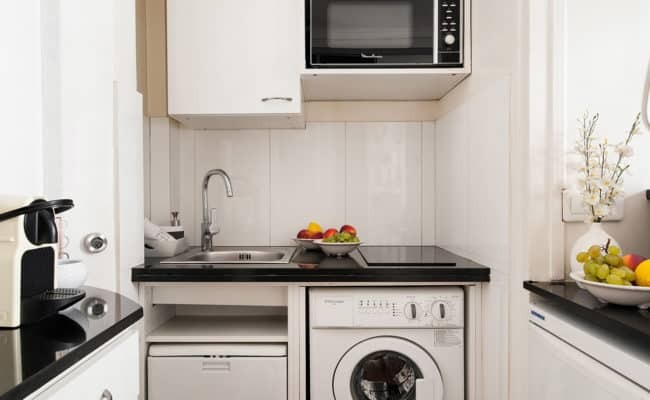 This Paris studio apartment offers all the amenities of a comfortable home, including a relaxing living area and a fully-equipped compact kitchen for dining at home. 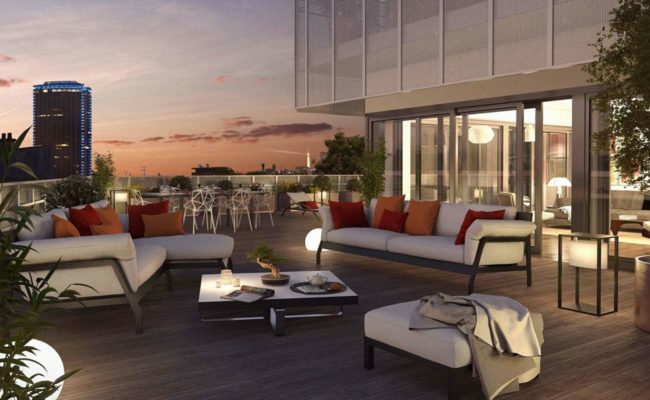 Enjoy shopping at local markets and sampling the abundant gourmet treats found in this lively and engaging neighborhood. Step outside and you’ll be just moments from fabulous Paris shopping. 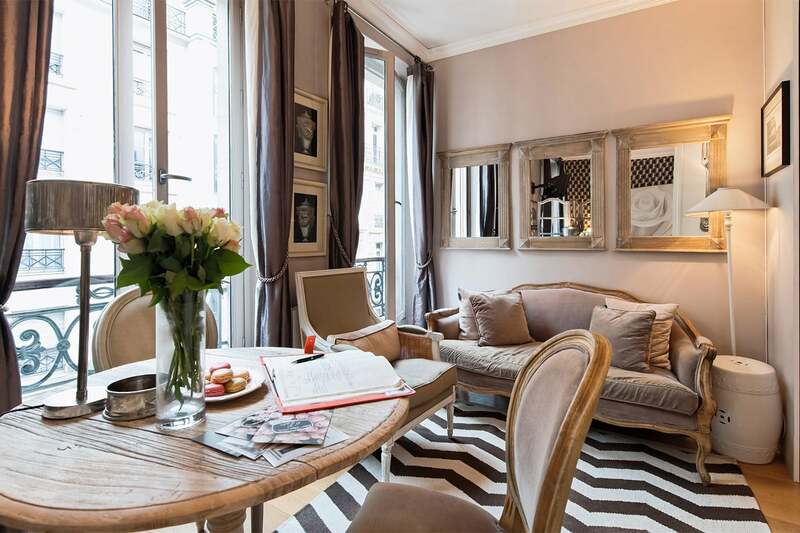 Find the big name designers along Boulevard Saint-Germain or discover the charming boutiques along rue Bonaparte to Place Saint Sulpice. 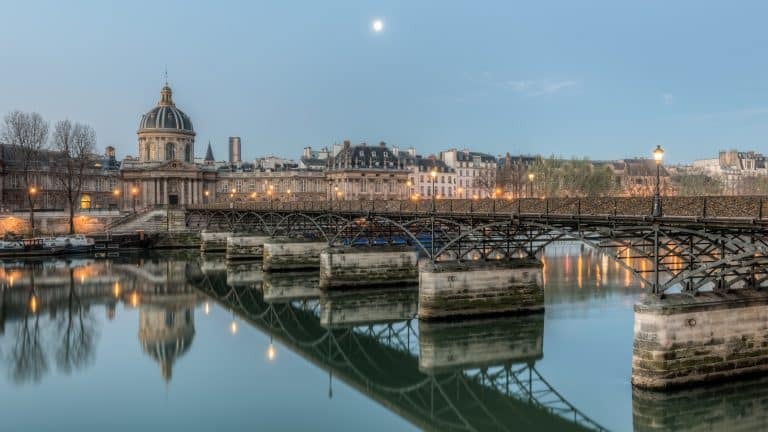 Spend a quiet morning strolling through the Luxembourg Gardens or walk to the Seine and cross over to visit the famous Louvre Museum. 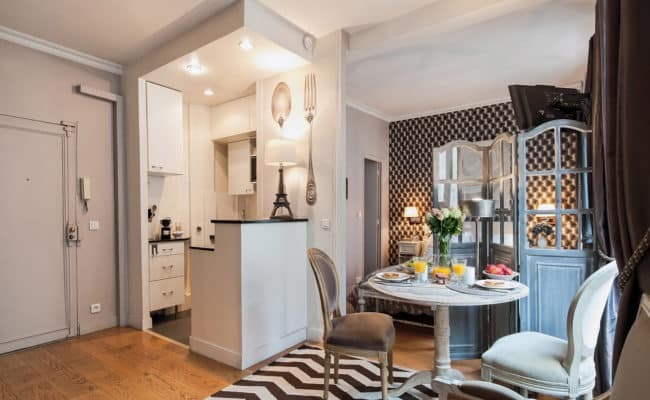 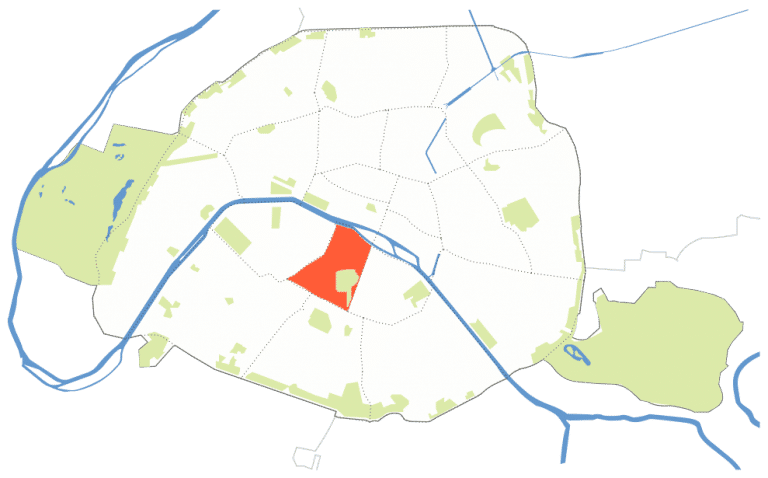 You’ll be just a short distance from several weekly open-air markets, the charming rue de Buci market street and some of the best patisseries in Paris. 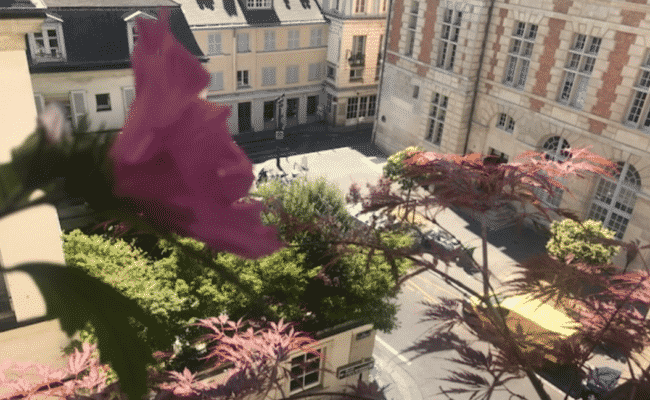 While you’ll be spoiled with all the restaurant options, your favorite dining spot might just be your own place, where you can savor your finds from the local markets and food shops while spending quiet and romantic evenings at home in Paris. 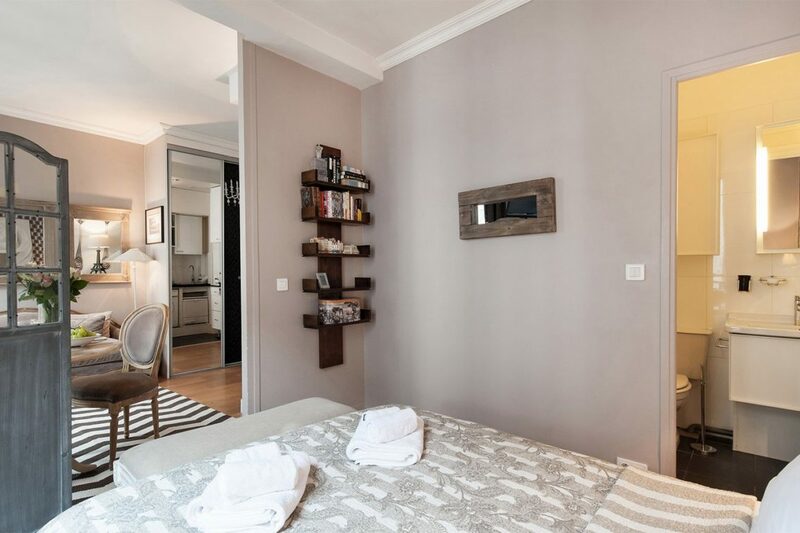 Bedroom area is partially divided from the living area and kitchen by a decorative screen. A large closet for your belongings can be found near the kitchen area. 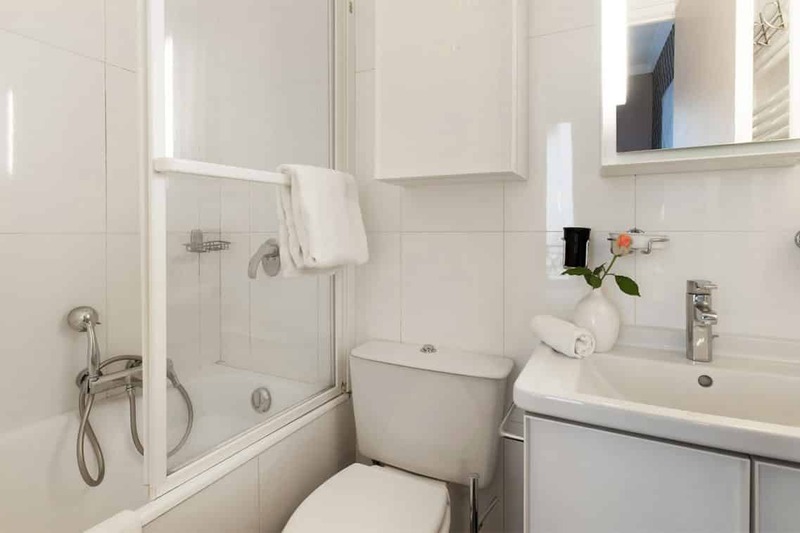 The bathroom has a toilet, sink, storage cabinet and a bathtub/ shower combination.